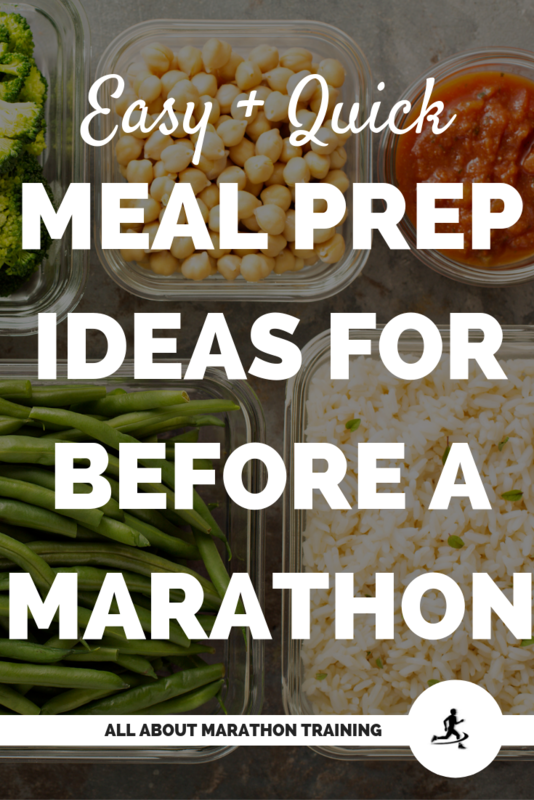 The goal in these meal prep ideas for the week before your marathon is to take one thing off your plate in advance to race day. From packing, to foam rolling, to making sure you get enough sleep, you can feel slightly overwhelmed that week before you run 26.2 miles! (or even 13.1!) Your nutrition and eating specifically can be a stressful factor leading into a race especially if you are making meal-to-meal decisions on what you should eat. The meal prep ideas here are simply ideas. Try to tailor them to you and your current foods that you eat. Also, make it work for your situation. Are you following a strict 3-5 day carbo-loading plan, or perhaps a one day plan? Will you be traveling out of town? Maybe you should just prep some snacks for the road or airplane. 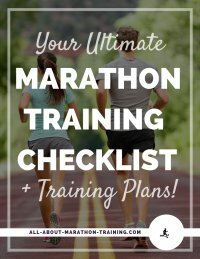 Do you live with another marathoner? I’m sure they would be thrilled to have some pre-prepped food! Don’t try any new foods. This is the #1 rule to nutrition in the week before a race. Think about the foods you already eat and have eaten throughout your marathon training and then think of how you can prep them ahead of time. Come up with a menu plan (especially if you doing hard-core carbo-loading) so that you can easily see what foods you can prep ahead of time. Look at this 3 Day Carbo-Loading Menu Plan for ideas! After you have a menu plan, create a shopping list and then pick up the items that you need. Think about how you will store your prepped foods. Ziploc bags? Foil pans that you can bake something in and then throw away? Tupperware (do you need a few more)? Let's look at some meal prep ideas now for the week before a marathon! 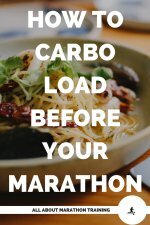 Quick Note: I have focused on preparing healthy carb choices as your diet the week before a marathon or half marathon should be very carb focused. Make a batch of your favorite oatmeal. I love crockpot oatmeals, baked oatmeals and just simple stovetop oatmeals. However, if I want to save time, I’ll make a big batch of crock pot or baked oatmeal (I shared this Baked Blueberry Oatmeal recently) and then just reheat it throughout the week. If you aren’t a fan of oatmeal or like to switch your meals up, then make some homemade granola with energy producing oats, honey, raisins, and coconut is great to have on hand to add some carbs to your breakfast, yogurts or to snack on. Make up some smoothie bags for breakfasts or pick-me-ups. Place your peeled bananas, berries, spinach in bag and then pop in the freezer. When you are ready to use just grab the yogurt/juice/milk, etc. and mix it up. Batch cook your favorite muffins or banana bread. Make enough for easy snacks and meal supplements. Prep a large pasta salad with lots of veggies and a protein and store in the fridge for a simple lunch. It can be as easy as cooking some noodles, tossing with your favorite raw chopped veggies and drizzling with your favorite vinaigrette or Italian dressing. Batch create some carb bases such as rice and quinoa to use as a side in your meals, to throw inside a recipe or to your entree on top of. Make your favorite (hopefully low-fat and go light on the cheese!) pasta or potato casserole (I love a baked spaghetti!). Store it in the fridge or freezer to bake on a night throughout the week and then eat the leftovers when needed. Cook a batch of soup that can be easily reheated. Don’t forget about your proteins. Give yourself a couple options such as browning some ground beef or cooking some chicken to shred for salads and wraps. Cut up fruits and veggies to snack on such as watermelon, cantaloupe, carrots, or cucumbers. Prep all of the water that you need to drink during the day. Place in a pitcher or bottles on the counter or in the fridge. This will help you stay on track with your hydration. If you are drinking your energy drink then prep that as well. The key is to take the stress out of the week before your marathon and it’s in doing little things (or big things!) in advance they really help to reduce those feelings of anxiety. That feeling of being ahead of the game is everything! 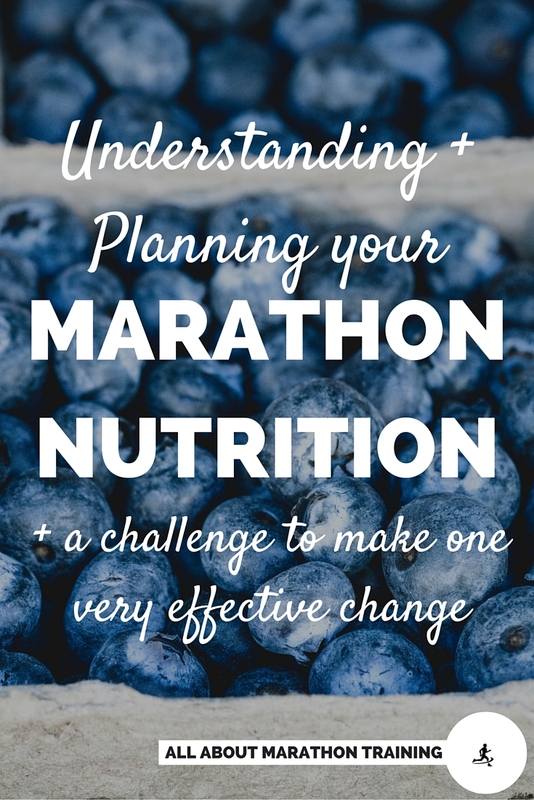 Remember, if you are looking for the next best thing to a personal nutrition coach and want your own personalized race nutrition plan tailored to your body and your running goals then your answer is the EAT LIKE A MARATHONER Nutrition Course. 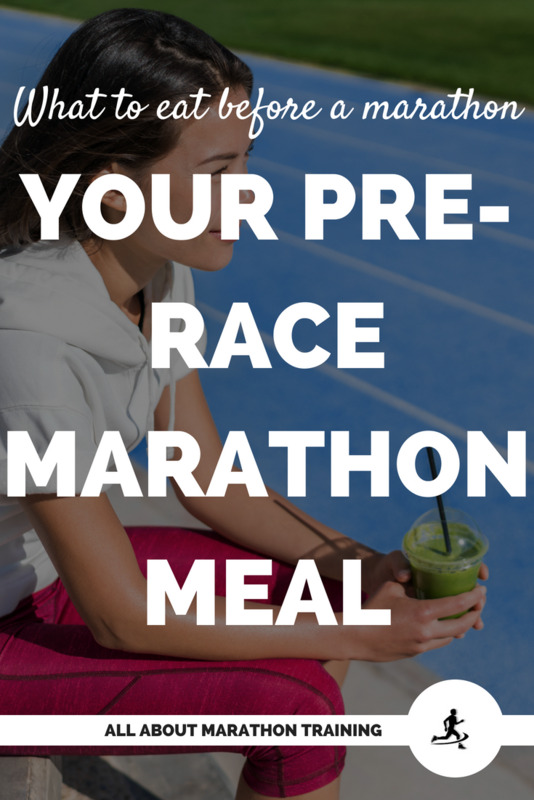 6 Pre-Race Breakfast Meals Ideas that you can make the night before! 4 Pre-Marathon Race Dinner Ideas here!